Perhaps the most vital benefits of vitamin D is the regulation of absorption of calcium and phosphorus, which in turn facilitates normal immune system function. Getting a sufficient amount of vitamin D is also paramount for normal growth and development of bones and teeth, and many recent studies also correlate an improved resistance against certain diseases. How do you treat low vitamin d levels? 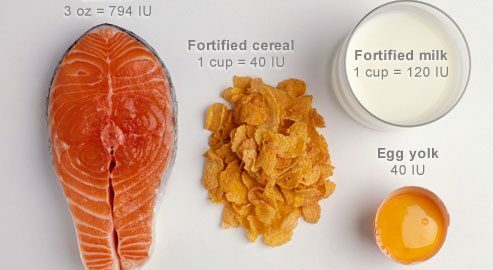 The objective is to regulate vitamin D levels to relieve the kinds of symptoms mentioned above and to decrease the risk of fractures, infections and other adverse health outcomes. To prevent vitamin D deficiency, experts recommend that infants and children receive at least 400 IU per day from both diet and supplement intake. Supplement wise you cannot go wrong with these bad boys– they taste so good too! Sitting around on a lazy weekend day when it’s a little chiller outside can mean your gym membership takes the back seat. If you’re looking for some simple to do lazy leg and bum exercises look no further! Rest for 45-60 secs and repeat x 3 or 4! The best thing about these lazy leg and bum exercises is that they can be done anywhere- your bedroom, your hotel room, the living room or outside (perhaps when the weather is a little better outside). These are often my go-to Sunday morning leg day (you can find others here)to get the heart racing and to justify a spontaneous visit to town ending in spicy chicken ramen or something smothered in Nutella. Shhh!